Finalists in the “Care and Support South West Awards”. Care Awards are a fantastic opportunity to highlight and celebrate the exceptional work done day in, day out by people in the care sector who truly do make the difference to countless people’s lives. They also help to promote the industry and show the good side rather than the rare failures pounced upon by the media. Launched our “Personal Assistant” (PA) support service matching experienced support staff with adults who have additional needs. Promoting engagement in their local community, voluntary employment opportunities, exploring healthy living and independent skills. We currently use Turnberries Community Centre in Thornbury as a base on Mondays to run our cooking sessions in their fully accessible, purpose built building. Awarded further funding from the Learning Difficulties Partnership Board (LDPB) of South Glos Council to continue our “LD Awareness School Project” to Year 6 pupils. Launched the new “Employment Support & Job Coaching” aspe ct to the ever growing LD Awareness roles. 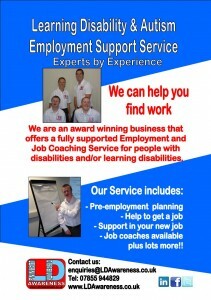 We can provide employment support to people with learning disabilities and/or autism. Simply click on the “Employment” tab at the top of this page to find out more, or email us through our “contact us” page. Began delivery of the Primary Schools LD Awareness project in South Glos. Commissioned to deliver 30 sessions to local schools to raise awareness of learning disability and autism to Year 6 children. Commissioned to work with Sirona Community Learning Difficulties Team (CLDT) to co-deliver a series of accessible workshops to service users who have learning disabilities about the Sirona service as well as obtain their feedback. LD Awareness have been asked to deliver their Primary Schools LD Awareness project for another year following the success of last years project (see below). LD Awareness started working with one of the UK’s largest recruitment agency, Hays Recruitment. This successful relationship will see them delivering nationwide LD Awareness sessions over the next few years ensuring that their social care staff have the skills, knowledge and confidence to deliver high quality learning disability support wherever they are placed. Commissioned to deliver Autism Awareness information sessions via the “mobile library” service to reach out to the most rural parts of South Gloucestershire and its residents to promote the ‘Think Autism’ strategy. 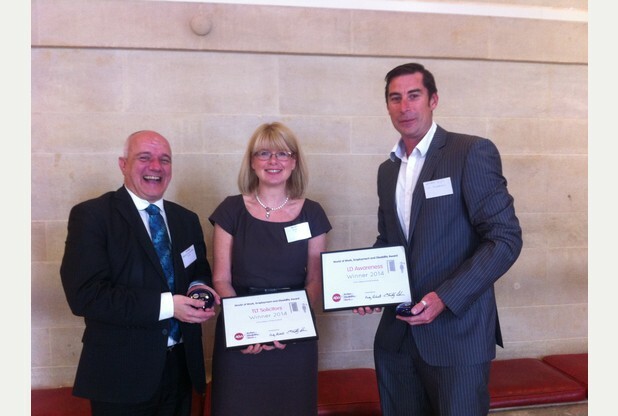 In June 2014 we were awarded the “World of Work, Employment & Disability” in recognition of the positive steps we have taken to employ disabled people. “I am delighted to announce the winners of our World of Work, Employment and Disability Awards, who are TLT Solicitors and LD Awareness. The Awards were launched last year by Action on Disability and Work UK to recognise and celebrate employers who go the extra mile in providing a positive working environment for their disabled staff. TLT won in the category of large employer because of the excellent work they have put into developing their Enabled Employees programme. We are currently working in partnership with South Gloucestershire Council and their Learning Difficulties Partnership Board (LDPB) to raise awareness and understanding to primary school children in the South Gloucestershire area. The Learning Difficulties Partnership Board (LDPB) invites individuals, groups and organisations to deliver projects and initiatives to make Valuing People Now happen in South Gloucestershire. 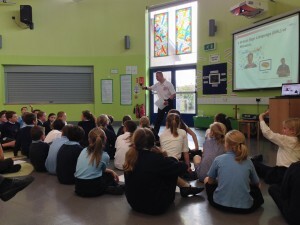 We are delivering Learning Difficulty awareness sessions to Year 6 primary school children within the classroom. The long term goal of this project is to educate children from a young age that people with learning difficulties are no different to anybody else and that they have the same rights, wants, needs and dreams as everybody else. If we can educate children early enough they will grow up without the prejudices that some sections of society still hold against people with learning difficulties. These sessions involve visiting schools in the South Glos area and spending time in classes delivering a fun presentation to children aged 10 to 11 years old and are co-delivered by two “LD Awareness” staff who have learning difficulties and ASD, supported by either Mat or Annie. The sessions cover general awareness about what a learning difficulty is, what it’s like to have a learning difficulty, the best ways to communicate with people who have learning difficulties, what prejudices people with learning difficulties face and how best to support people with learning difficulties. We aim to raise children’s expectations of people who have learning difficulties by giving examples of what jobs and achievements people with learning difficulties or ASD have made. We talk about Valuing People and what the Government is doing to help people with learning difficulties or ASD. We tell the children what inclusion is, how people with learning difficulties can be supported to mix into their community, from receiving the right type of support at their local football team, their cubs or scouts troop to accessing mainstream college when they are 18 years old. Sessions are a mix of short presentations, quiz’s, exercises and “break out work group’s” which will be supported by Adam and Mike. This gives the children a chance to work alongside two adults who have learning difficulties and aims to break down the barriers between disabled and non disabled people and hopefully increase the children’s confidence when they next meet a person who has a learning difficulty.